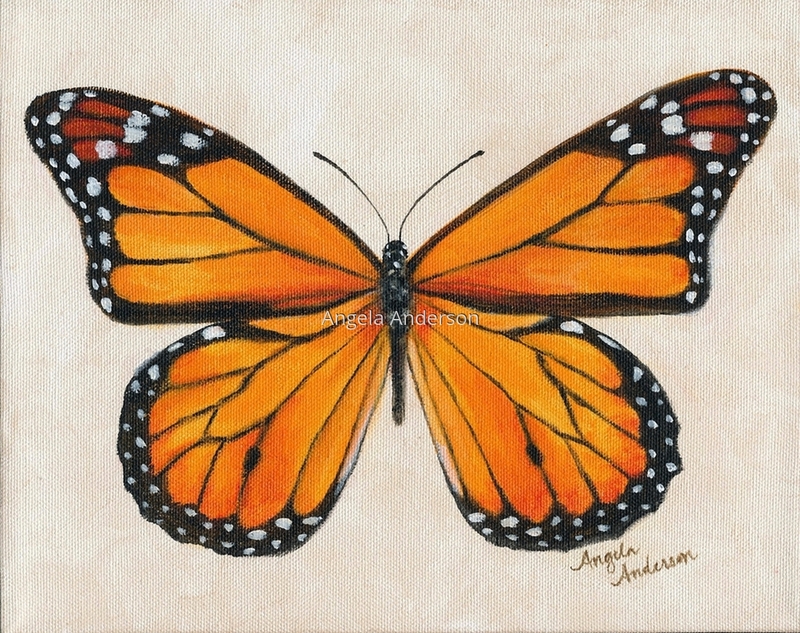 Classic Monarch Butterfly with striking orange, black and white colors. Part of my butterfly series. 5" x 6.375"7" x 8.875"9" x 11.375"11" x 13.875"13" x 16.375"15.5" x 19.625"